Properties in Midlothian average 4.6 out of 5 stars. Property 18: Very quite,cozy and modern 1 bedroom apartment only steps away from everything. Property 20: Castle Views & Theatres! Lovely central 2-bedroom ground floor flat. The Bonnie Bide Awa' - Quality, Quirky, Quaint - and Waiting to Welcome you! Property 36: The Bonnie Bide Awa' - Quality, Quirky, Quaint - and Waiting to Welcome you! Superb value, family friendly and very central! Property 48: Superb value, family friendly and very central! 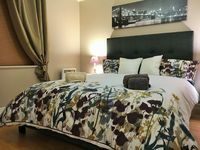 Exceptional gem in the Georgian New Town - haven of calm, luxury and style. Property 50: Exceptional gem in the Georgian New Town - haven of calm, luxury and style. We had a great time in Edinburgh and what made it so nice was the flat we stayed in was so close to everything. Right beside Grassmarket and literally under the Castle. 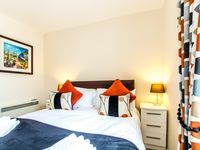 Within 10 minutes to the Royal Mile and even within walking distance to New Town. Lynne was very nice to meet us upon arrival and show us where everything was in the flat. Thanks Lynne. We will be back!! Everything was great. The location with surrounding restaurants and shops is perfect. About a mile walk from all the tourist sites is great. I would definitely stay here again.